The common business card remains an essential tool of doing business. And it is now affordable to print your own business cards whenever you need them. The quality of your business card says a lot about you; therefore many business card printers use laser technology which is faster than inkjet and also less likely to produce spoiled results or interrupted printer runs. Many printers have a compact footprint – and with Wi-Fi, business card printers can be easily transported for use at conferences or events. Wi-Fi connectivity to get portability as well as the ability to upload templates to an online host and print remotely if necessary. 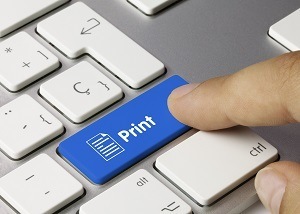 Professional firms charge several hundred pounds to print as few as 50 units, so it makes sense for sole traders and small businesses to invest in a printer which will do the job for far less. Various models are available in monochrome or colour, some costing as little as £50.